TabTalks | An award winning game! In May of 2017, Can I Help? was launched and within the first six weeks, over 1000 people had played it. My reward is watching the conversations that people have while they play my games; the moments where people are listening and sharing, the insights people game, their ah-ha moment. However, it is nice when the power of a game is recognized by others and in October 2017, Can I Help? was recognized by the organization that sponsored its development, Innovation Science and Economic Development Canada. 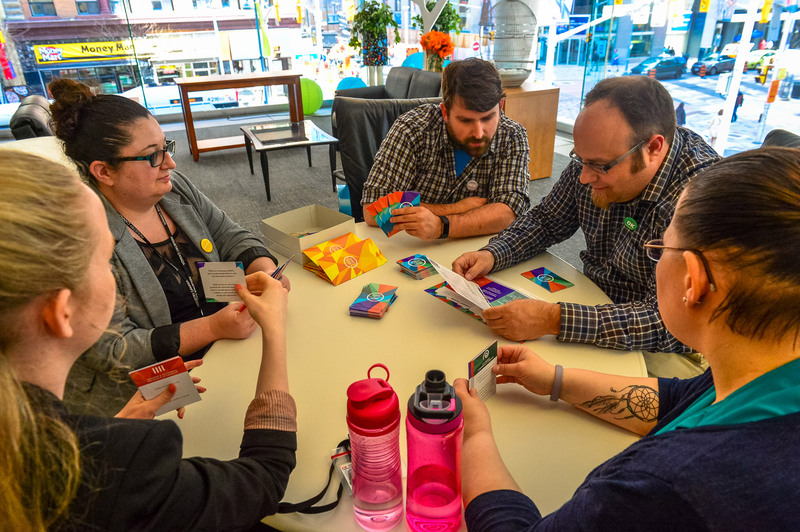 Understanding how this simple game creates a safe space for people to talk about workplace wellbeing and inclusion demonstrates that parts of the Canadian government get it. I am excited about how the game will be used in supporting individuals and teams talk about issues that are often taboo. 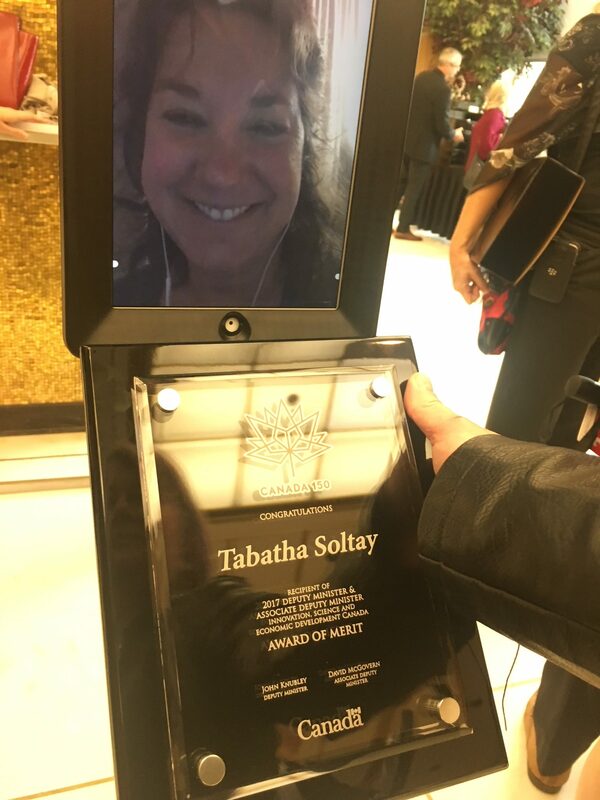 I was unable to attend in person, but the Lab helped me remote in by TabBot, and everyone played along. There is no possible way I can thank everyone who supported me or the development of the game, but I am very grateful for the amazing team we had and the enthusiasm from all of our beta-testers, our Table Hosts, and our players!